The primary message in Principle #4 Falling Up relates in a lot of ways with the message of Principle #2 The Fulcrum and The Lever which had a lot to do with choosing a positive mindset. When we are aware and consciously choose to see the positive in any situation, we can have the most benefit and change the course of our future experiences. 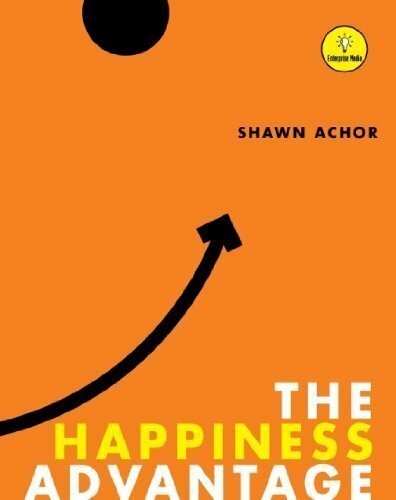 In this chapter of Achor’s book he shares findings from studies about the setbacks, adversity and challenges we all face and how best to navigate our way to leveraging them to make our lives better. Our minds can easily see when we face adversity or a setback that we can keep doing what we’ve done and keep getting what we’ve been getting in terms of results. The mind can also conceive of worse case scenarios where we could do something that would put us even worse off than we are now. These two paths are readily available and most can see these two and often choose the current path because it’s better than the worst case. Yet, there is a third path and that is one that leads us to growth and a better future. Achor refers to this as “Falling Up”. Finding the path to a better future can be difficult to find during challenging times. When you have a negative physical diagnosis, hardship in your relationship, or you’ve lost your job seeing the bright side of things isn’t easy. But it is there! In a lot of books I’ve read and in talking with lots of entrepreneurs over the years there’s a common theme about risk. All business comes with some risk and therefore there could be failure. Failure to successful business owners isn’t the end of the road. It’s a part of the path. They accept and learn from failures, trying not to repeat them in the future. This same idea can be applied to our lives. If we perceive of failure as growth, we are more likely to experience growth from the experience than to be taken down by it. Achor writes, “however counterintuitive it may seem, psychologists actually recommend that we fair early and often.” It’s in the living through failure that we grow more confident in our abilities, we learn to figure things out and feel better and less afraid of failure in the future because we know we can do it. One of my favorite parts of this chapter is when the author talks about studies that show people who have been through traumatic situations and are able to see the silver lining have better lives after the trauma. We’ve all seen people who have lost limbs, eyesight or were severely burned and their resilience during and after the event is totally inspiring. I heard the story of Turia Pitt, an ultra marathon runner who was caught in a brush fire during a race and received burns on nearly 70% of her body. She’s now an inspirational speaker. She lived through a hellish journey of 8 months in and out of the hospital for surgery to repair the damage the fires did to her body. What’s often interesting to watch are people who come into the world with a seemingly normal set of circumstances and their lives spiral downward because they let events determine their life. Then there are people like Turia who was a model, had a loving boyfriend and a life that seemed to be going well. She has a horrible injury and she goes on to allow that experience to propel her into the atmosphere instead of curl back into nothing. This is post traumatic growth. It’s the daily rituals and thought patterns that you choose that give you access to your path up, your potential growth when you experience adversity. The momentum of thoughts can carry you through adversity and surf the waves of challenges or be swept under the current. Positively reinforcing to yourself that you have good karma, are blessed or whatever you want to reinforce to yourself will allow you to see opportunity in adversity and experience post traumatic growth. This learned helplessness is like a cancer. If we allow one setback, one failure to be the catalyst that teaches us to give up and that life’s not worth winning we’ll never succeed. Sadly, the author reports that often people feel helpless in one area of their life, say finding a job, and they carry that over into other areas. They think they’ll never find a life partner, or that they’ll never lose the weight, or they’ll never save money and on and on. The downward spiral continues. As we talked about in Principle #3 Tetris Effect, the impact we can have on the experience AND results in our lives is greatly impacted by the thoughts we think. Our outlook and attitude can change our reality. The same idea applies here in seeing opportunity out of adversity. We can condition our mind to look for the opportunity, or silver lining, in the setback. So how exactly do you do that, you ask? Practice. I’ve had my share of adversity and setbacks in my day. Debt, divorce, death…you name it. I have set up my life and my daily rituals so that they create a positive and happy life. That sets my baseline at a higher place than if I weren’t in the practice of neutral or negative thinking. It’s a great way to live to begin. Then, when adversity hits I’ve also trained myself through repetition to recall thoughts like “everything is always working out for me so what ever this looks like now I know it will turn out in the end…I just may not see it now.” I also trained myself to ask in the face of a problem or setback “I wonder what’s trying to happen here?” That idea I picked up along my path has served me so well over the years. Whether I’m traveling and I hit some bumps in the journey, I’ve had car problems, relationship problems, client problems…all “problems” are merely opportunities we don’t yet see from the other side. The explanatory style is how we tell the story of our life. Do we tell it with an optimistic or pessimistic outlook? Do things always work out for us or is it “why does this always happen to me?” It’s a choice and I believe it comes from our underlying beliefs which are just conditioned patterns of thought. The story we tell ourselves about the way our life is – or adversity is – is the way we experience life. If we can learn to condition ourselves to tell a good-feeling, empowering story when adversity comes up we can grow and even experience the post-traumatic growth talked about earlier. To learn more about telling a new story, check out my post Tell a New Story & Create Your New Life. There are always three paths out of any situation – the same path, the negative path and the path up. Successful decisions about which path to choose are made when we are thinking clearly and creatively so we are sure to see all paths available to us. If we perceive failure as growth, then we will benefit from the failure and grow. Post-traumatic growth – growing out of adversity. More than bouncing back, we bounce up! Psychologists recommend failing early and often. We become more confident and learn how to figure things out better in future. Learned helplessness can be over learned when we begin to apply feeling helpless because of a setback to other areas of our lives. Having an optimistic, opportunistic mindset helps us see the growth in the loss, adversity or setback. We have the power to create the story, to give meaning to what happens in every situation. Choose an empowering meaning! Optimists see adversity as “local and temporary”. They don’t think it will last forever and it doesn’t apply to other areas of their life. Just that situation. Falling up is using downward momentum to propel us upward.